Everybody wants to enjoy year-round comfort in their homes and offices regardless of weather conditions outdoors, and with Goodman Heat Pumps this dream can become a reality. The Goodman Global Group is a privately held company manufacturing residential as well as light commercial indoor heating and cooling products and systems. 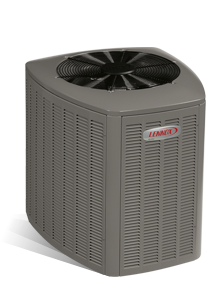 The beauty of these heat pumps is that they provide both heating and cooling all from a single system. 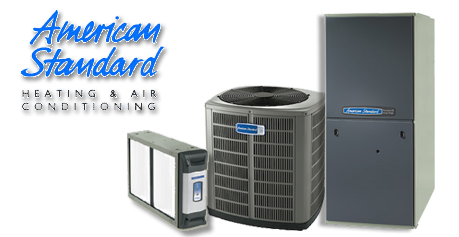 When you are looking to either upgrade your heat pump or purchase a brand new one, Goodman experts will help you determine the right unit for your home. They help you decide on whether you want your heat pump to be powered by electricity, gas or oil. Modern technology has introduced many new, fantastic features to provide you will all the efficiency you need. Goodman Global was founded in 1975 by Harold V. Goodman, who became an air conditioning contractor in 1954. 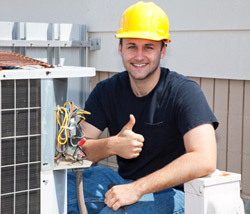 His business grew and he turned to building HVAC equipment which would be high quality and economically priced. They acquired the Amana line of household appliances in 1997, and although it has been sold to Maytag Corporation, Amana’s heating, ventilating, and air conditioning (HVAC) division is still owned by Goodman. 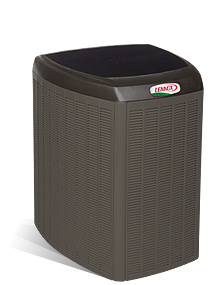 They are still manufacturing and distributing residential heat pumps, gas furnaces and central air conditioners. A belief of offering some of the best limited warranties in the marketplace. Today Goodman is recognized as a leading brand, with their prices being lower than other premium brands, and offering some of the best warranties in the business. Every Goodman brand product is protected by a limited warranty on all functional parts. Warranties are available from a Goodman dealer, and details on the standard limited parts warranty are available on their website HERE. Special warranties are also available on selected products and components; for instance some products carry a warranty on the heat exchangers while others carry warranty coverage on the compressors. The Goodman Heat Pump comes with a 10 year expiration, bearing in mind that you must first register the product within sixty days if you do it online. Different models come with different warranties and the DSZC18 Goodman heat pump, for example, includes a limited lifetime warranty, while the SSZ16 model comes with a lifetime warranty on the compressor as well as a 10 year warranty on the parts. Extended Service Plans allow you to avoid the stress caused by unexpected replacement costs, and if a covered repair is needed, an authorized dealer will make repairs making use of quality Goodman parts. It is good to have this extended service plan because it will not matter how much the cost of a covered service increases, with an extended service plan, rising costs will not affect you. 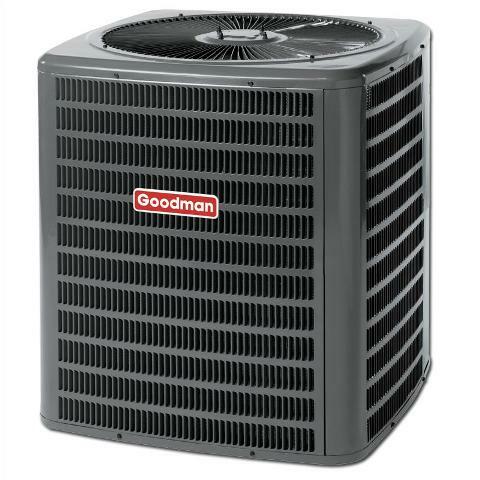 The Goodman Company is the second largest manufacturer of heat pumps and this means that their heat pumps will be available in most retail stores. An even easier way is to order your pump through online stores where you can compare prices ‘under one roof’, order online and have your heat pump delivered to your door. One of the most important features to consider when looking at Goodman Heat Pumps is the heat pump’s efficiency, which is measured by an AFUE rating. 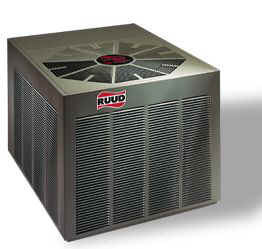 AFUE is the acronym for Annual Fuel Utilization Efficiency of a gas unit in converting fuel to energy, and Goodman gas furnaces have high AFUE ratings. Their efficiency ranges from 80% to 96%. A 90% rating, for instance, means that the furnace uses 90% of the fuel and only the remaining 10% is wasted. It goes without saying that if your home is small and you also live in an area that doesn’t experience extreme temperatures, then you could get away with one of the standard efficiency models as opposed to the more expensive super efficiency models. It is important to look at these AFUE ratings because a high AFUE rating translates to lower heating bills, and in this day and age, that is surely a very important factor. Another thing is that it doesn’t matter whether your unit is installed vertically or horizontally, it will not affect the airflow, and with variable speed blower and two-stage burners, your energy costs will be kept as low as can be. Goodman heat pumps have an energy-saving compressor, a condenser coil designed using corrugated aluminum and copper tubing as well as an in-line filter dryer. The fact that they come with a higher SEER rating (Seasonal Energy Efficiency Ratio) of 18 means you are going to enjoy additional savings with an energy-efficient product. Two stage heating – while circulating air throughout your home the heater gauges the temperature outside and adapts its heating and cooling accordingly. When the temperature outside is hot, the heat pump works like an air conditioner to cool your home, and when the temperature cools, the heat pump automatically reverses the refrigerant cycle to heat the air. Similar to other heat pumps in the HVAC industry, Goodman doesn’t always provide prices for the consumers. This is because Goodman sells their units wholesale to contractors, who in turn charge customers for the unit price as well as installation costs. Prices also differ depending on a few factors. When considering price, remember that a heat pump’s efficiency will also play a role in the cost of a heat pump. Take for instance the Goodman DSCZ18. It is Goodman’s top-of-the-line model and comes with a lifetime warranty on the compressor and 10-year warranties on unit replacement and parts. Cost including installation will be roughly $5,000 to $18,000. The Goodman DSCZ16 has a SEER rating of 16 and also comes with a lifetime warranty for the compressor and 10-year warranty for unit replacement and parts. The cost for this unit including installation is in the line of $4,500 to $16,000. The Goodman GSH13 on the other hand is their low-end model with a SEER of up to 13. This model comes with a 10 year warranty on parts and is not Energy Star certified. Cost including installation for this model will currently be about $2,500 to $7,000. 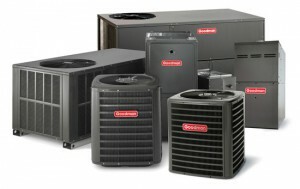 Goodman also manufactures commercial heat pumps. Their GSZ13 Commercial Heat Pump is a 13 SEER, three phase heat pump with superb sound levels. The unit is covered by a 5-Year Parts Limited Warranty. With commercial installations, Goodman offers the benefit of a base pan which is elevated to provide water drainage and to keep the coil away from debris that collects inside the unit. Some features with commercial units include energy-efficient scroll compressor, liquid refrigerant return protection, filter dryer and copper tube/enhanced aluminum fin coil, amongst others. 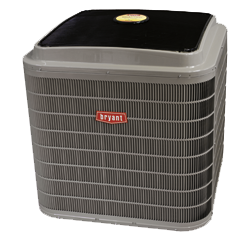 There are many heat pumps being sold today, and Goodman heat pumps have been purchased by many satisfied customers who rely on their reliable and experienced contractors to install the heat pumps. The Goodman contractor will first assess your home or office and advise you on how much work your heat pump will have to do to heat and cool a particular space. They will also check that your ductwork can handle the addition of a heat pump. Apart from heat pumps, the corporation also produces air conditioners, gas fireplaces as well as coils. Some of the pumps come with a heavy-duty housing drawer for outdoor units which are resistant to rust. Goodman heat pumps have been designed for the homeowner as well as for commercial offices in search of superior comfort. A unit that is quiet working and which falls within the acceptable bounds of your area, as well as being environmentally friendly really is all you could ask for when heating and cooling your area, and Goodman Heat Pumps rise to the occasion every time. It must also be noted that Goodman products are manufactured to rigid specifications in order to comply with all safety regulations, thereby meeting the needs of their customers. Next Article How Does A Heat Pump Really Work?